A barn style house, also known as a Barndominium describes a form of architecture popular in Texas and all throughout the United States which is designed to include living quarters as well as additional space that can be used for a workshop, garage or traditional barn. These metal home structures are easy to build and combine the various aspects of lifestyle into a single house. The barn style house also works to the benefit of whoever lives in it by giving them enough space to live in as well as work on their hobbies in the extra space. Designers and builders of these space saving structures were tired of the traditional buildings and decided to make a few modifications to their approach. With a little thinking outside the box, the barndominium was born making the best use of available space for structures that add usefulness to the house. Living in a barn style house provides the benefit of having a workshop, garage, or barn right at your fingertips. 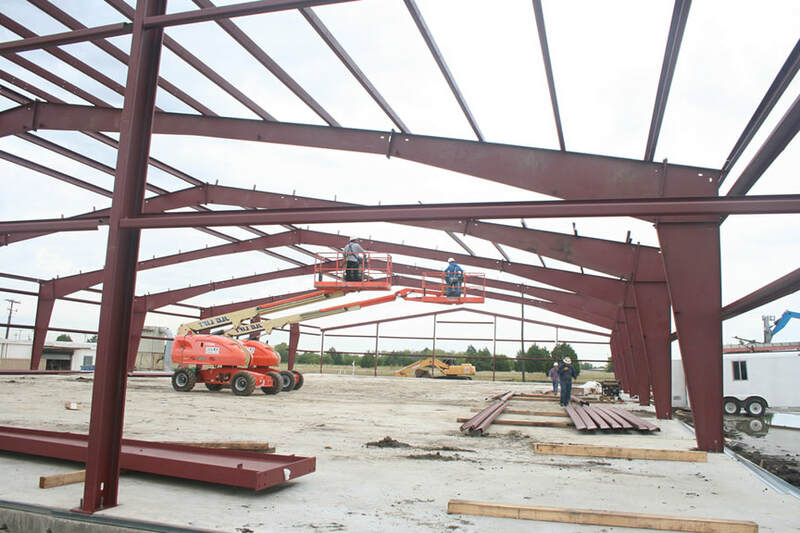 The construction of the structure is made of steel frames and is very economical and sturdy. When built properly these metal home building structures not only last for years and years to come, but will require low maintenance. It is also very cost effective to build and the barn home design can be built faster than traditional homes. Although the outside of these homes do look like barns, the interior can be as simple or elaborate as you want to dream. You are not limited as to how fancy you can go with the interior design, as long as your budget can handle the design or materials used. You will typically find barndominiums built in more of a rural style setting, but you may see these barndos popping up in the urban areas as well. No matter if you live in an urban or semi-urban setting, the barn style house is an excellent choice for anyone that is looking for a popular style of home. It will be quite useful to have living quarters in the same location as your shop or garage, and people that currently live in barndos love them. Barn style housing plans are the best in current circumstances and work to the benefit of the occupants. These metal buildings are strong, cost-effective and more affordable for families. Barndos also signifies an improvement to architecture and construction methods for the modern age. If you are considering a barn style house, we would love to speak with you and help you in building your dream home.